The long established Southampton University Symphony Orchestra is now in its 97th season. Based at Southampton University’s main campus, the 90 member SUSO has built a strong following of concert-goers and it continues to entertain with a wide variety of music from the stage, screen and concert hall. This entirely student-run enterprise performs regularly in the Southampton area as well as across the UK and on international concert tours to great acclaim. Accustomed to performing in professional concert venues, the SUSO’s main concert home is at Turner Sims. Other recent local concert venues include Romsey Abbey, Southampton’s Central Hall and St. Mary’s Church. The orchestra has toured extensively, giving concerts in numerous European cities such as Prague, Budapest and Berlin, and is now about to launch preparations for its upcoming tour next summer to Berlin. “Team” music making (particularly when part of a large team/ensemble such as the SUSO) provides so much more than just musical training, demanding of its membership well practised skills that will be required and depended upon throughout future careers, not just in music but in all professions. Polished skills in preparing for deadlines, delivering the goods when required, handling performance pressure, perfecting stage presence, dealing with competition or working together as a team are all eminently transferable, and will be used time and time again as SUSO’s musicians step out into the world’s workforce and their chosen careers. Membership of SUSO also ensures that they take with them a strong work ethic and a sense of achievement – proof of the results that hard work can bring. And with some 50% of the membership studying degree subjects other than music, the SUSO is not only teaching its members how to use their musical talents, but more importantly, how to become exceptional professionals of the future. The students at the SUSO recognise these benefits in bucket loads, and since the orchestra is not a university course but in fact a student society, they have taken these opportunities to the next step by not only being part of such a successful venture, but also (to ensure its continuation) by running it. As a student society, all running costs for such a busy orchestra fall to the SUSO itself. The continuation of the orchestra’s full diary of rehearsals, concerts and musical activities, hiring of rehearsal and concert venues, soloists, and publicity, and engagement of its conductor, depends entirely on repeated box office success, regular fundraising and private and corporate sponsorship. The SUSO is keen to build upon an already high profile in both the local area and beyond, reaching music lovers of all backgrounds and professions. The orchestra is currently searching for new corporate sponsor support in the form of both concert sponsorship and more general sponsorship. If the chance to add your company name to the SUSO’s website and concert publicity appeals, or you’d like to have your company logo travel with the SUSO as it tours the UK and parts of Europe, or be able to invite your friends, colleagues and customers to dazzling evenings of musical entertainment, or perhaps host your own concert interval receptions, or just enjoy a simple “meet and greet” in the concert hall bar, then SUSO Sponsorship could well be for you! 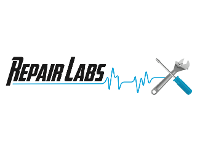 Repair Labs Southampton have provided all SUSO members with a 20% discount.